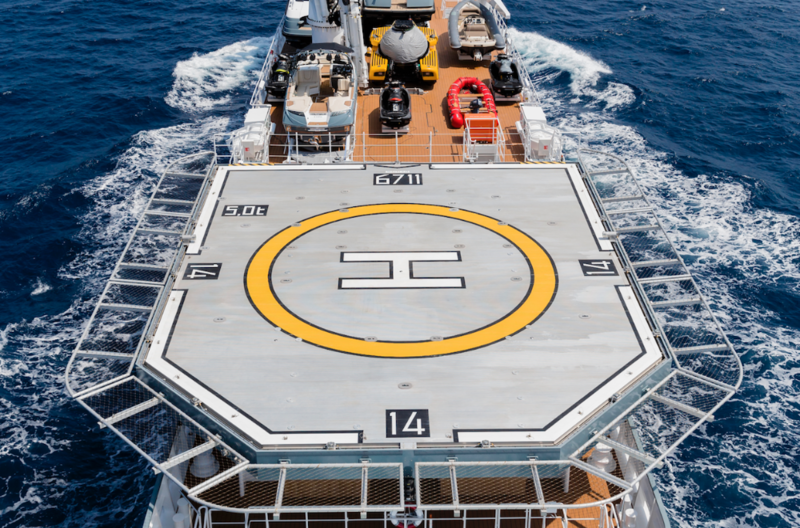 SuperyachtNews.com - Design - What influences the positioning of a helipad? Over the years, it seems that having a helicopter on board is something that has become more of a priority for superyacht owners. Providing quick and easy access to and from the vessel, a helicopter is, of course, a huge asset. However, they do take up a significant amount of valuable space on board, meaning that placement is absolutely key. So what dictates whether the helipad is situated forward or aft on the vessel, and how easy is it to integrate it into a design? The optimum position on board is essentially somewhere that doesn’t impact on owner or guest space. On yachts under 40m, there isn’t enough space to have a helipad on the bow. In almost all cases, this will mean the helipad is located at the stern, although this in itself is very impractical, taking up, as it does, valuable guest space. Therefore, beyond support vessels, it would be a short-sighted designer who would advocate the inclusion of a helipad on a yacht less than 40m. For larger vessels however, the bow is essentially dead space which makes it the perfect position for a helipad. Some boats may have a hot tub or additional seating there, but there is a design trend for having a blank bow; using this for a helipad wouldn’t take away any valuable space on board and perhaps this is why it has become such a popular position. “Every helicopter has something called a D-value, which is the dimension from the back of the tail blade to the front of the main blade,” explains Assael. “A helicopter D-value has to match the value of that of the landing area. On a yacht, The International Civil Aviation Organization (ICAO), allow that the available size of the landing area to be reduced to 0.83 of your D-value; in other words, it needs to be 83 per cent of your D-value, so you can slightly reduce the width of the landing area. 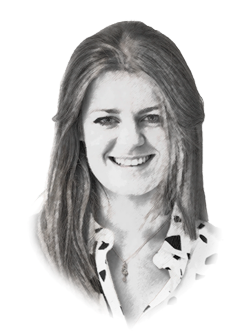 “Normally during the design phase, we look to match the landing area to a known helicopter that the owner plans to either put on board or operate to and from the vessel, this is then formalised in the in the project specification. this then dictates the size and strength of the landing area to be accommodated as well as how close it can be placed to any adjacent superstructure” The positioning on board is therefore dictated by where the landing area fits rather than by any aesthetical preferences, especially when it comes to smaller yachts. Other aspects of helipad placement, such as firefighting and other safety requirements, don’t necessarily influence where the helipad is positioned. “Some larger vessel’s have further safety features like deck-integrated firefighting systems, but historically the regulations don’t require this, only a basic level of equipment as per the SOLAS regulations,” adds Assael. “All you need is to have is a deck that is strong enough, and as long as Class are involved [at] an early enough stage that’s not a problem to be designed and engineered properly. So, the limiting factor, from the shipyard perspective, comes down to size and if they can fit it in. The fire fighting and safety equipment isn’t really a problem when it comes to the overall placement of the landing area, unless the deck interferes with planned life raft or lifeboat launching station, in which case there will be a conflict. In reality, the placement of a helipad comes down to where it is going to take away the least amount of guest space. This is dictated by the selected helicopter’s D-value, which tends to make the bow the obvious fit. Therefore, it’s actually less of a case of designers following convention and more of convention following safe engineering principles. However, Class also needs to be be brought in to ensure the deck is strong enough to take the selected helicopter and that the design accommodates the safe landing and take-off from the vessel – whether that be forward or aft.